Hi peeps! 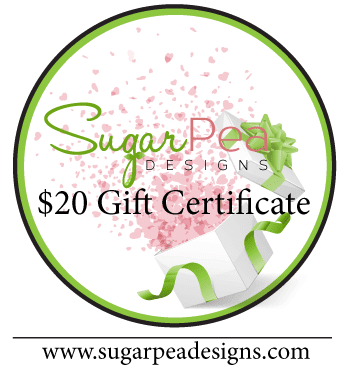 Happy Friday and welcome to SugarPea Designs Sweet2Repeat Blog Hop! Hopefully by now many of you have our cute Spring Release in your hot little hands. The SugarPea team has created fabulous projects to inspire you with even MORE creative possibilities featuring our newest and hottest products! I am scheduling my post in advance as the moment this post go up, am enjoying a trip in Portugal with my family from Indonesia. This is the first time ever since I moved to the States that I am able to see my brothers two years in a row. Usually we only get to see each other every few years. So, we are savoring this moment & so very grateful for this opportunity. With travel in mind, I made this birthday card using the adorable Parisian Holiday set. Now, giveaway time! How would you like to WIN a $20 gift certificate to spend on some SugarPea Designs of your own? 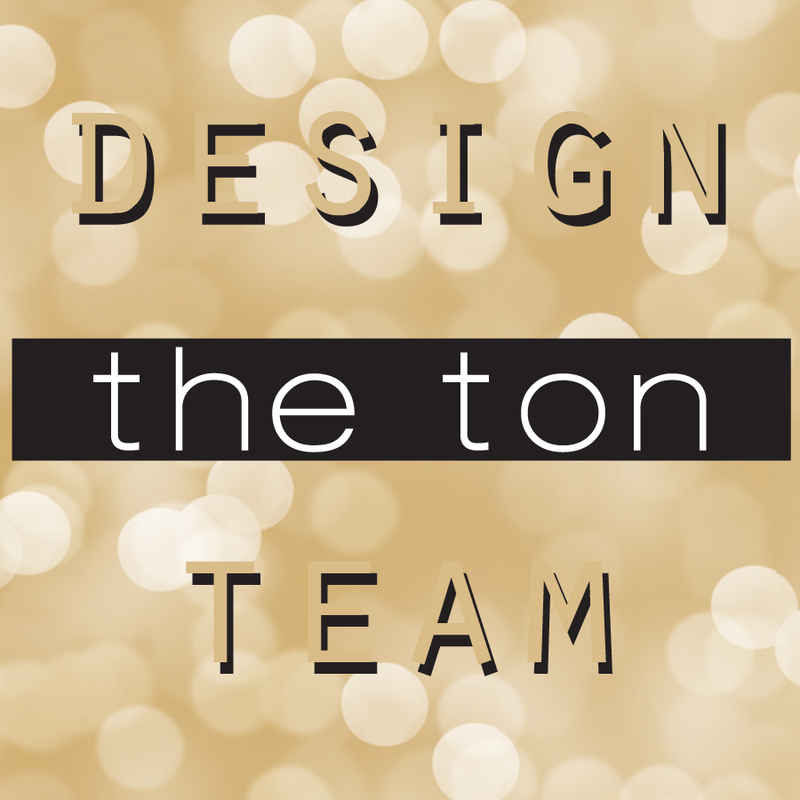 Please visit with each of our design team members listed below and leave a comment for your chance to win! The winner will be announced on Saturday, April 25th. Hi peeps. How's your week so far? Last weekend I had such an amazing weekend hanging out with some fabulous crafty friends and came home rejuvenated. Time with friends is good for the soul. But then.... I came down with a cold. I rarely sick, so this was a surprise. My throat was sore during the crafty retreat, but I thought it was because I talk too much. You know when 44 women gather together, there's lots of chatting!! Alas..., come Tuesday I was feverish and down. Anyway, I do want to pop in today to share a card with you. I made this Purple Onion Designs cutie a while back and haven't share him, yet. Well, since my head still swimming a bit, I keep this sweet & short. Thank you for stopping by my blog. I really appreciate it. Have a blessed Thursday, peeps. Hi peeps. 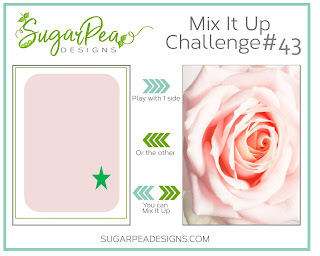 Time for a new Mi It Up Challenge from SugarPea Designs. For my card I mix both pics as inspiration for my card. 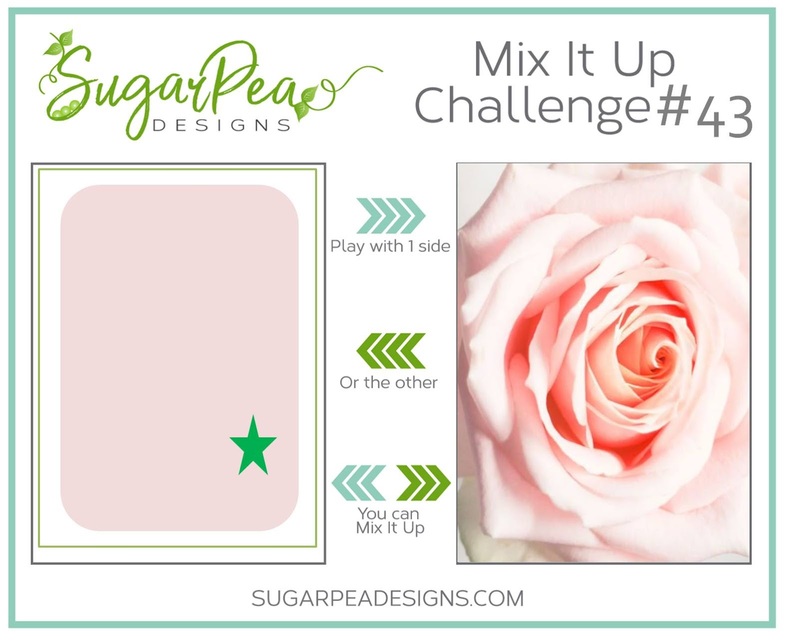 I choose to do flower card inspired by the rose pic and follow the sketch for my card design. 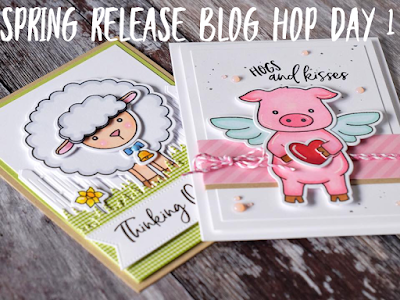 Hi everyone and welcome to day 1 of Honey Bee Spring Release Blog hop. We're so happy to have you joining up. You should arrive here from the talented May Park and in case you missed any link, the hop starts HERE. Honey Bee released quite a few sets with this release, but as you may know, yours truly love animals, so, it would be no surprise that I chose to play with what I consider the cutest fella in the bunch, Pinky The Pig. I stamped, colored and die cut the image and you know what I love about the dies? It actually cut the hooves, so you can lift it up and insert the cake (or cupcake or pinwheel, just depend on the theme of your card). I love it, because often I have to cut the slit myself when working with animal images. For the background I used one of the stencil from Hexi Patterns Background Stencil. Once I finished inking it with various ink colors, I adhere the piggy with pop dots and stamp the sentiment (from Hey, Pumpkin set). And, of course, I have to sprinkle some confetti. The one I used is the Surprise Confetti mix. Now, no hop is complete without a giveaway, right? 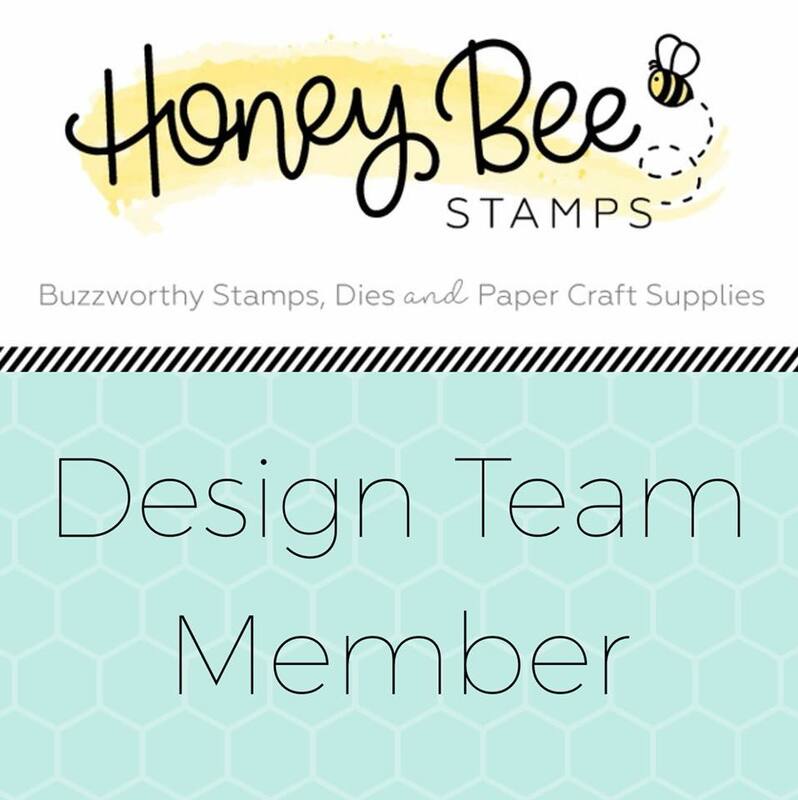 Honey Bee is giving away two $50 gift certificate and 4 of the Bee Organized Prize Pack. 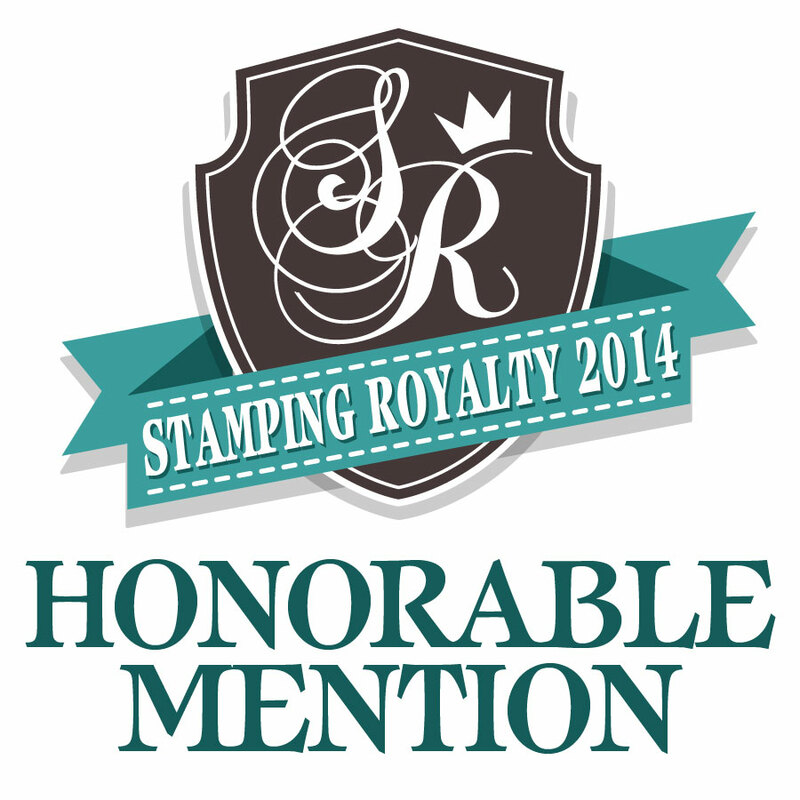 Simply leave a comment on each blog and winners will be announced on this page of the HBS blog on May 5th. From here please hop on over to Wanda Guess and to make it easy, below is a complete list of the hop participants for day 1. Thank you all for stopping by here and may your day be a wonderful one.